The U.S. Senate has passed a comprehensive new bill focused on expanding drug treatment and prevention programs across the country, the largest provision of its kind since 2008, when the Affordable Care Act (ACA) mandated insurance coverage for addiction treatment, The New York Times reports. The bill, sponsored by Sen. Rob Portman (R–OH) and Sen. Sheldon Whitehouse (D–RI), passed 94 to 1 on the Senate floor after several weeks of negotiation. Ultimately, legislators almost unanimously agreed on a major influx of funding into new programs designed to help combat the opioid crisis. The bill authorizes congressional funds for various treatment and prevention programs for a wide array of drug users, including those in jail. The bill also strengthens prescription drug monitoring programs in several states, expands the availability of the overdose-reversing drug naloxone and creates more disposal sites for prescription meds that are often abused. 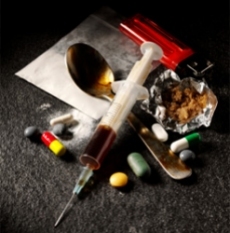 The addiction epidemic “is probably one of the most pressing public health issues facing American families across the country,” said Sen. Lisa Murkowski (R–AK), one of many to take the Senate floor to praise the bill. However, the Democrats threatened the bill at one point after the Republicans denied an accompanying law to provide $600 million in additional funding to some of the new drug abuse programs. There is a companion bill in the U.S. House of Representatives. However, that bill does not have strong support from Republicans in the House. According to the U.S. Centers for Disease Control and Prevention (CDC), overdose deaths have quadrupled since the late 1990s. Injection drug-related hepatitis C virus (HCV) and HIV cases are also on the rise across the country, particularly in places like Indiana and other parts of the Midwest, that bear the brunt of today’s addiction epidemic.